The goal of every company should be to build Trusted Brands. This article speaks to the importance a Trusted Brand brings to your organization in loyal consumers, higher book valuations, and most important of all trust. 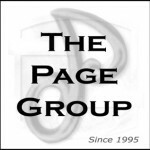 The Page Group speaks to these issues every day. Today’s marketing department has to be so laser focused on their consumer and what they need to build brand loyalty with the consumer. It is not driven by the ego’s of management any longer, but on the needs of the consumer. We ask what does the consumer expect from this brand? How does our brand reflect those needs? How does our brand represent the goals and aspirations of anyone who buy’s our brands, and how does that reflect on their purchase decisions. Building a Trusted Brand is complex but when done well it returns with a higher valuation in your company, and a more stable future. Work on building your Trusted Brand. Lansner: What are the most trusted brands in Orange County? Prioritizing consumer trust helps prominent firms rise above the rest in Orange County. Published: Aug. 19, 2014 Updated: Aug. 20, 2014 1:12 p.m.
Here’s a look at the winners in each of the 10 categories within the 2014 Orange County Most Trustworthy Brands awards. Honorees are listed with their category and the top two finalists, ranked by the winner’s overall score for trustworthiness. Scores are derived from a consumer survey asking about brands and their strengths/weaknesses in key consumer relationship attributes. The average score for trustworthiness was 103.2, up 3 percent in a year. Vans (Skateboard shoes and apparel) is top ranked brand in the OC. The trust between company and consumer isn’t a business factor that shows up on the corporate balance sheet. But numerous successful operations serving Orange County show that building brand loyalty creates an asset that pays long-running dividends. The 2014 winners of the Orange County Most Trusted Brands awards have been announced – and in many categories the honorees are sort of no-brainers. That’s because these companies are the ones you enjoy doing business with. This is the fifth year of these awards – a co-production of DGWB, Cal State Fullerton and OC Metro magazine – targeting brands based in Orange County, or operating within O.C. with a large consumer presence. Winners are chosen from the results of consumer attitude surveys reviewing 235 brands. This year’s first-time winners were Knott’s Berry Farm, Toyota and the Salvation Army. Weisman singles out Wing Lam – co-founder of the Wahoo’s Fish Taco, who was awarded the Most Trusted Brands’ manager of the year honors – as a prime example of who’s building brands the right way. Many executives talk about building consumer relationship, Weisman says, but few act upon that banter, and almost nobody works community building like Lam. It’s not just feel-good activities. Consumer relationships are real moneymaking stuff. Weisman says it’s both “no-duh” work but also exceedingly rare. Brands that draw trust have top executives who know that nurturing consumer relationships is more than simple lip service or placards with the company mantra on the workplace walls, Weisman says. It’s everything from how customers are greeted to how a company handles a big mistake. Trustworthy brands empower middle managers and front-line employees to be problem-solvers for their customers, Weisman says. Award-winning Costco is a great example with its “no questions” returns policy. Such consumer friendliness can be feared as an added expense, for example, with an increase in product returns, comped meals or other services. But the consumer loyalty such friendly treatments can build is what Weisman sees as an unappreciated corporate asset. Weisman speaks of key elements his firm measures for the contest and clients, connection and candor, as lost arts. That can hurt, Weisman says, because truly consumer-centric brands are a great marketplace match for today’s shoppers, who may be willing to spend a bit more for the right product or service. “People are back to demanding the relationships. ‘Show me you care,’ not just that you can give me a product,” Weisman says. He cites award-winning CHOC as a hospital that’s successfully courted customer relationships in a highly competitive medical-service industry. Hi there, You have performed a fantastic job. I’ll definitely digg it and for my part recommend to my friends.